These Pillow Top Covers for your waterbed are made in the USA. 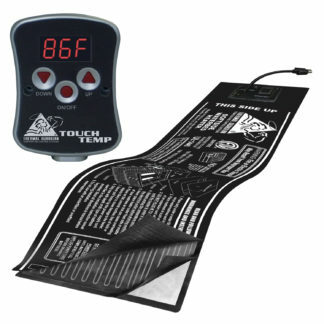 A lot of our customers say you don’t even need a heater with these. 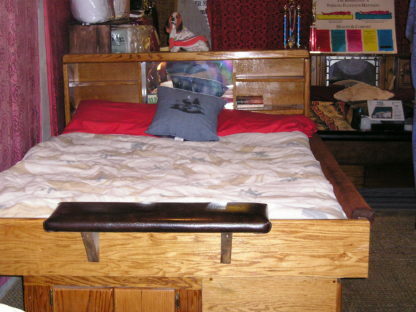 They have wide anchor brand straps for holding them on securely. They are washable but not dryable – I dried one once and it did not work and I had to throw out my pad. 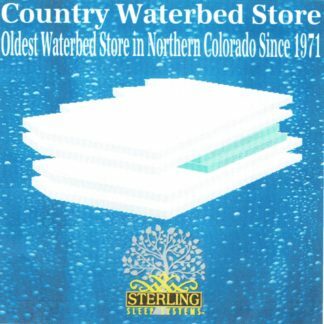 If you need an extra layer of comfort on your waterbed this is the way to go. If we are out of stock these will ship directly from the Manufacturer. Be careful opening your box as they vacuum pack these in. 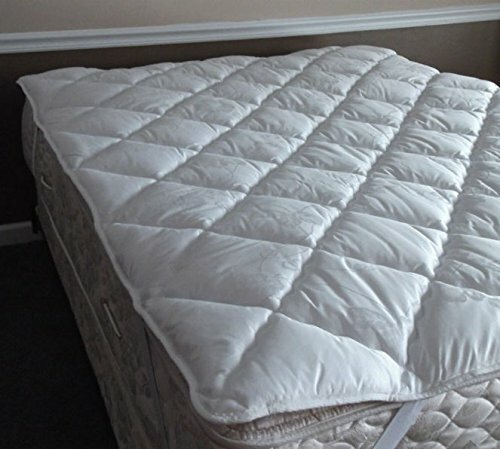 The 2 inch Thermoshield Pillow Top Mattress Pad has been called “the best mattress pad ever” for a reason. 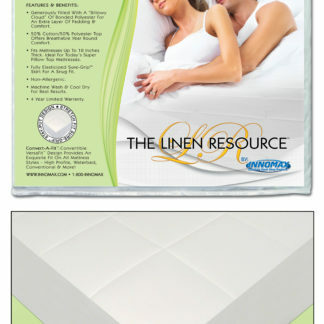 It starts with a soft foam cushion underlying our special fiber, packed so full that it literally explodes when cut open. Those fibers trap nature’s best insulator, air, to keep you cool in the Summer, warm in the Winter, and comfortable year-round! 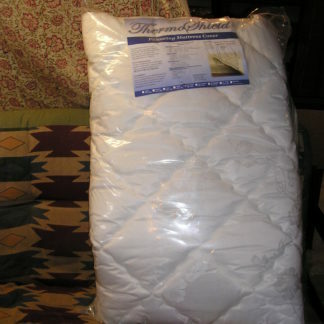 The Thermoshield also breathes so you don’t burn up and insulates so you don’t freeze. 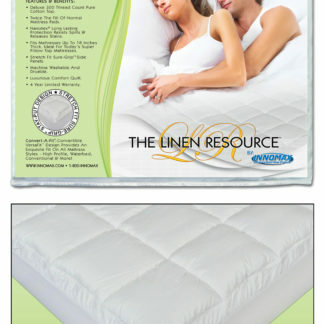 Anchor bands to fit all beds Machine wash, hang air dry, If you sleep Hot we can cool you down. 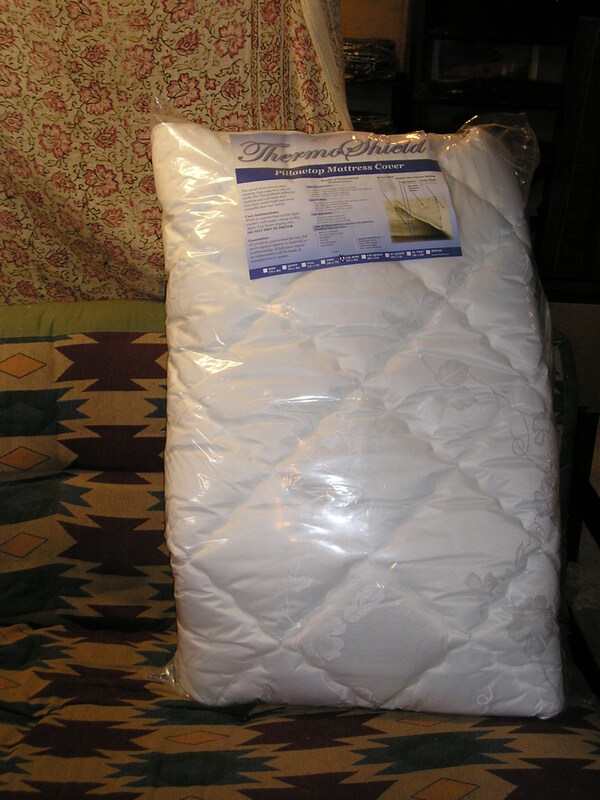 The ThermoShield is constructed from 2 layers that together make up the 2″ thick pad. A 3/4″ high quality soft foam cushion underlays our special fiber, packed so full that it literally explodes when we cut the ThermoShield for you to see! These fibers trap nature’s best insulator – air! 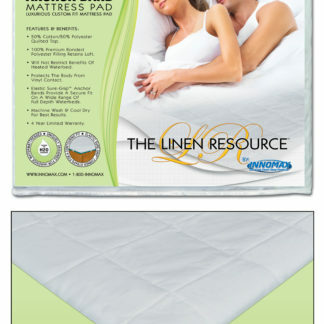 The cover on the pad is made from a polyester fabric designed to aid in insulation. The ThermoShield pad is the ideal solution to make any mattress more comfortable instantly.